Vietnamese teas are produced in many areas that have been known for tea-house “retreats”. For example some are, located amidst immense tea forests of the Lamdong highlands, where there is a community of ancient Ruong houses built at the end of the 18th century. Vietnamese green teas have been largely unknown outside of mainland Asia until the present day. Recent free-enterprise initiatives are introducing these green teas to outside countries through new export activities. 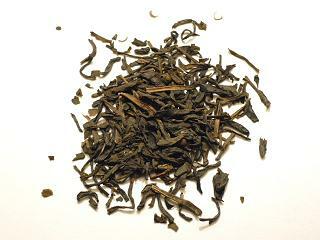 Vietnamese Lotus Tea as shown above is just one of the type the Vietnamese people are offering. It is very invigorating that you would even feel the soothing feeling while sipping. I never liked tea, not until I tried Vietnamese tea. They are cheapest drink in Vietnam too…=) 2000 Dong for one good small pot of tea. Give it a try.